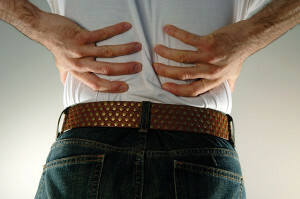 Selecting the right patients and committing time to education and management of their expectations when using orthoses to treat chronic low back pain can yield symptomatic relief, according to research conducted at the University of Salford and epublished by the Journal of Foot and Ankle Research in May. This “psychologically informed practice” helps patients have better attitudes, and therefore better compliance and better outcomes, said Lindsey Hill, BSc(Hons), MSc, DProf, MChS, who conducted the study as part of her PhD research. Hill and her colleagues selected 25 patients (mean age, 44 years; 11 women) with low back pain associated with some element of biomechanical dysfunction who had undergone previous interventions with conventional therapy. Hill, a podiatrist for the UK’s National Health Service (NHS) and in private practice in Salford, comprehensively assessed lower limb alignment, foot posture, and function and administered the Roland-Morris Disability Questionnaire to all study participants, who had experienced low back pain for a mean of 88 months. She also used a pressure measurement system to further inform clinical findings and aid in the design of custom polypropylene foot orthoses. During patients’ initial assessment Hill discussed their foot function and biomechanical issues in detail, showing patients the visual results of their pressure scans and explaining the anticipated effect of foot orthoses. During orthotic fitting she described adjustment issues patients might experience and provided written instructions that reinforced her verbal messages. At 16 weeks Hill conducted conversational-style interviews with participants, eliciting their experiences with and feelings about the orthoses and low back pain. All patients reported they were still using the orthoses and planned to continue use. Several common themes emerged from analysis of the interviews. Prior to the initial study assessment, for example, most patients didn’t understand the potential link between foot function and back pain, and many doubted orthoses could work when other interventions had failed, Hill said. Hill also repeated her quantitative testing, finding all participants had clinically significant reductions in symptoms as measured by the disability questionnaire. (She plans to publish all quantitative results in a separate study.) A number of participants expressed surprise at the improvement in their posture, physical function, and pain. Most noted they needed time to adjust to the orthoses, but that the information they received in their initial interview had prepared them for this. Hill noted that UK national guidelines for management of low back pain do not include a recommendation for foot orthoses, meaning the devices are typically not prescribed even in the subgroup of patients Hill believes would benefit most—patients with alerted lower limb biomechanics who haven’t responded to other interventions. He wasn’t surprised with the success Hill found in her study, and said that psychosocial issues are well known to play a large role in chronic low back pain. “The key [for treating low back pain] is being careful with the prescription—using in-shoe pressure measurements and creating an orthotic that ends behind the metatarsal heads and has a first-ray cutout. These are the critical elements that help people get push-off from their feet rather than using their lower back muscles to move the foot into swing phase,” he said. Williams AE, Hill LA, Nester CJ. Foot orthoses for the management of low back pain: a qualitative approach capturing the patient’s perspective. J Foot Ankle Res 2013 May 7;6(1):17. Great article. We have found success for low back pain patients with excessive subtalar joint pronation while wearing heat mold, direct contact orthotics.